Chelsea’s players have taken to Instagram following the extraordinary 3-2 comeback win against Southampton. At 2-0 down, it looked like the Blues were once again going to bow out with another league defeat. However, the team’s character was faultless as the champions stole the three points at St Mary’s. Oliver Giroud’s inspired brace along with Eden Hazard’s strike lifted the morale around the club after tough recent results. Cesar Azpilicueta didn’t captain the side with Gary Cahill back in Antonio Conte’s line-up, replacing Antonio Rudiger for the match. The Spaniard was at fault for failing to stop former-Chelsea man Ryan Bertrand as he supplied Dusan Tadic with Southampton’s opener. However, ‘Dave’ was always looking to make up for his mistake in the second half, especially when the home side got their second goal. Thibaut Courtois retained his regular place in the team despite Willy Caballero’s impressive form. The Belgian had little to do apart from pick up the ball in the back of his own net twice as we conceded two sloppy goals. The Chelsea shot-stopper highlighted the support from the away fans as we pulled off a sensational fight-back in the latter stages of the match. 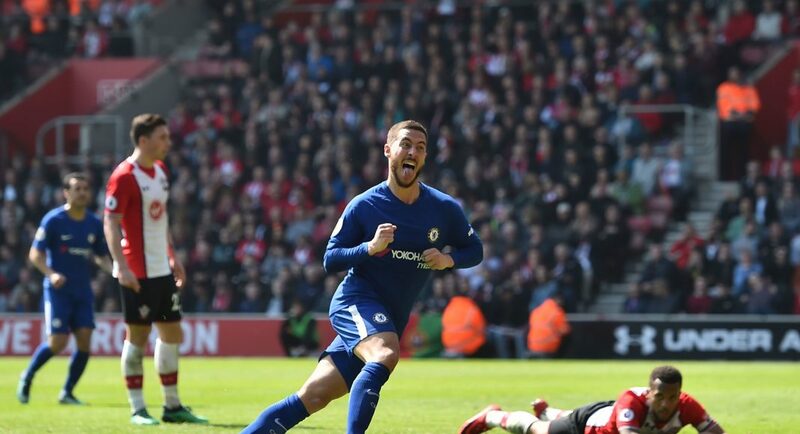 Eden Hazard produced at the right time for Chelsea in levelling the game and showed his impact in the final third as we went on to score three goals in eight minutes. Like Courtois, Hazard praised the travelling fans’ noise and of course Oliver Giroud for his contribution that saw Chelsea comeback to win from 2-0 down away from home in the league for the first time since 2002, 3-2 against Charlton.